Leighton Buzzard locksmiths. Police checked and UPVC repair Expert. Leighton Buzzard Locksmiths. We are here to assist you. If you have a broken or insecure door one of our Locksmiths in Leighton Buzzard can help you put it right. Our Locksmith arrived on time and was able to not only fix my locked front door he did it without replacing a part and costing me extra. I would highly recommend GPM Locks. 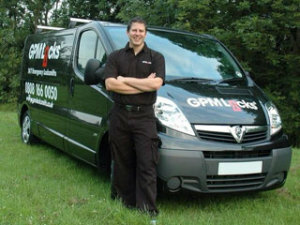 GPM Leighton Buzzard Locksmiths are a family run business. We take pride in offering an expert locksmith service which is also friendly, reliable and above all efficient in the Leighton Buzzard area. All of our skilled Locksmiths are professionally trained and have accomplished at least 5 years in their chosen field of expertise. We have at our disposal the latest technology allowing our mobile workforce not only lock replacement services on site but also key cutting service on site. This latest technology allows us to sort out your lock or key problems in as short a time as possible. In order to offer our services at reasonable rates we operate a no call out charge system. If you would like a security check we can offer this service for free. Our security check will determine if your security will meet current insurance requirements.